Now that the tinies are 3 and 9, the backseat can become a battle ground if not managed properly – even in the best of circumstances, on the shortest trips, the craziness can quickly spiral into a cage match. Teeny is now old enough and big enough to give as good as he gets in most cases. So, when Papa Bear said he wanted to take a road trip to a destination 12, yes, T-W-E-L-V-E hours away, I knew I was going to have to start working on the organization early! Don’t get me wrong, it will be great, we get a limited number of summers and summer road trips with our kids when they are young, and even fewer with all of them, when they can remember it. This time is precious to me. I just want to it be a stress free as possible! Check out my list of non-negotiables when traveling with the kiddos here. With two weeks to go, I have their clothes planned and the snack bag packed and ready to go – most of the snacks are in the trunk – I don’t want a sneaky cookie party or mindless eating to become an issue, but each child has an insulated thermos that fits into their cup holder and a couple of snacks handy in the car. My post on packing is here – my OCD may or may not be fully apparent in that post! I say snacks, you can hear bribes – I have no shame. I am taking smartpop popcorn, crackers and organic gummies that are basically juice and pectin, in the cabin of the car with the rest tucked away to get as we need them. The crackers could be better for them, but the popcorn and gummies are no so bad yet make them feel like they are getting a treat. It’s vacation, I’m not going to micromanage everything (lots of things, but not everything). 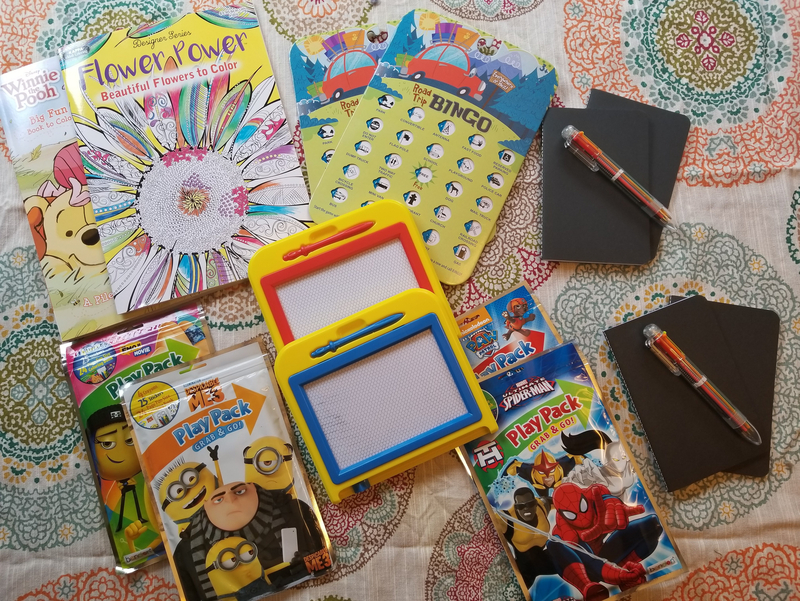 With only one week left, I start to gather all of the things that they are going to want in the car with them during our 12 hour drive (is it bad that I have Gilligan’s Island theme music playing in my head right now?). Entertainment is going to be a prime factor in keeping them engaged and give them something to do that doesn’t involve making the other sibling squeal. They are actually pretty good with each other, and adore each other, but at the end of the day, they are still kids. We have a variety of coloring books, road trip bingo boards, twistable colored pencils (I didn’t want a wayward crayon to melt into my upholstery), books, and DVDs. 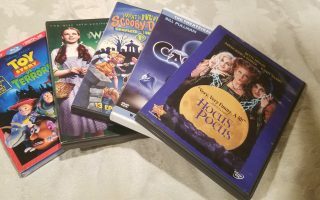 I usually don’t allow the DVD player to be in the car when we are at home, we either sing, talk, listen to music, or the kiddos’ favorite, listen to an audio book. We have spent many a mile engrossed in the Little House series, Anne of Green Gables, and the Incorrigible Children of Ashton Place. They can usually agree on listening to an audio book. The three above are all series and we have listened to the WHOLE series of each, at least twice! Check out Audible here, and get a free audiobook with a new account (accounts are free to sign up). I am addicted! There is also a great article at Minitime (linked here) that will give you some great ideas for games on the go. Games and Audio books will only get us so far – we do break out the car DVD player and ear phones for major road trips – I don’t know how we survived as children in a car with our parents – we were fine, but I am shocked that they didn’t pull over to the side of the road and put us in the trunk! To help with the hours of car riding, and this trip will bring a TON of those, we have little neck pillows, and a thin blanket for each of us – Papa Bear must have been born a polar bear, he loves it COLD!!! The kids also have these great lap desks. They can put them between the seats when not in use, but can have a snack, color, play on a tablet or a variety of things on these little guys. I believe Grand Ma’ Ma’ got these at Books-A-Million a year or so ago, and they have been used in so many different ways. Each tiny person has their own, so they can’t even fight over that. I linked a great kids one here that is light weight and portable and would perfectly serve the same purpose for less than $20.00! We have a couple of hand toys (cars, action figures, shopkins, etc.) and one snuggle buddy each, and that is it. 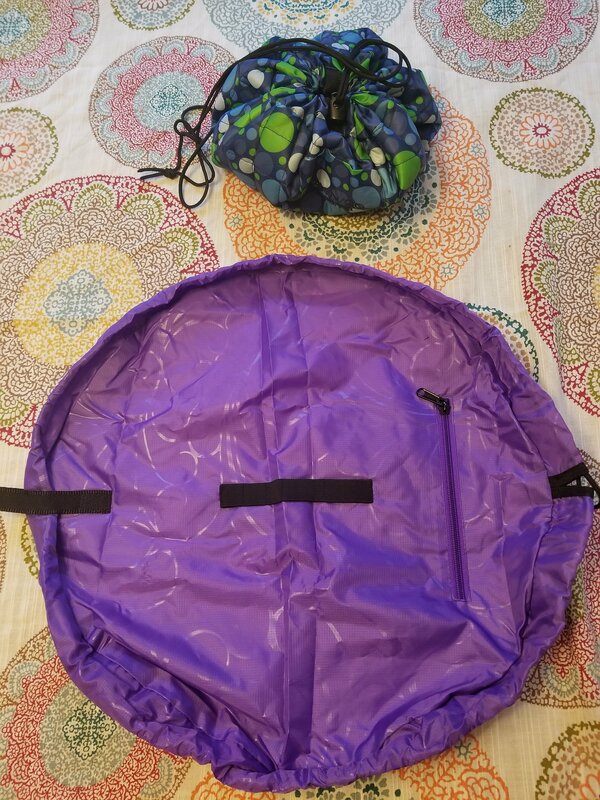 Each tiny person gets one Lay and Go toy bag (get the 18 inch here and the 44 inch here) that they can stuff with as many infuriatingly small and sharp objects as their tiny hearts desire to keep them company, and no more! There are enough. These were a gift to the kids from one of their aunts – we use them for legos, hot wheels and shopkins. They make a variety of sizes (all the way up to a 60 inch play mat) and a handy dog bed if Fido is traveling along with you! One of my favorite car organizers is a back seat caddy. 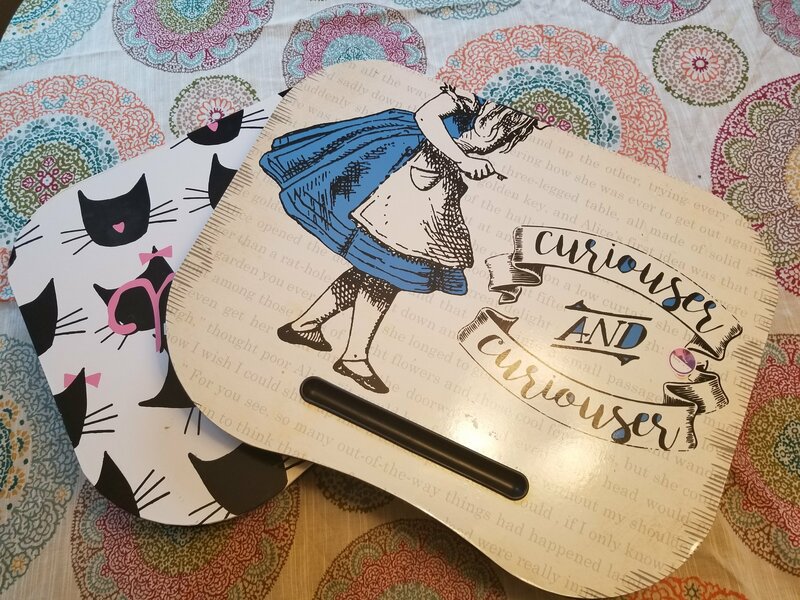 I got these car organizers on Amazon for less than $20 US (linked here) and they are amazing (are you picking up on a theme yet?)! I break them out for long trips and then they store away nicely again, but you could easily use them all of the time if you like them. 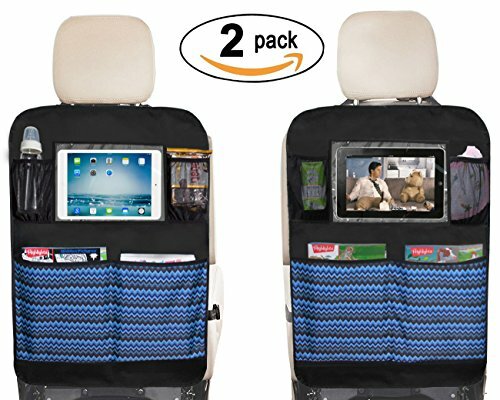 There are clear pockets for tablets and phones, pockets for books, and even cup holders if you want to use them for that. We are going to put colored pencils and a small snuggle buddy in ours. I liked the blue, but they also come in solid black (here). 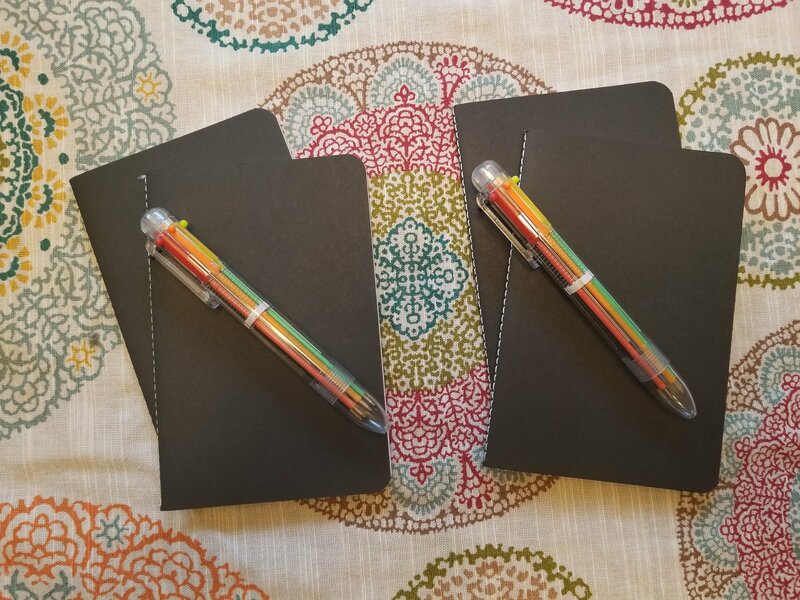 I am also pretty bad about going to conferences and picking up little note books and multi color pens in set of 2 so that the kids have a travel journal to draw pictures and record memories in. I love to teach them to write about their trips and they have so much fun creating the journal entries and pictures (I put them in their memory boxes) to remember all of the sights and sounds of their adventures. 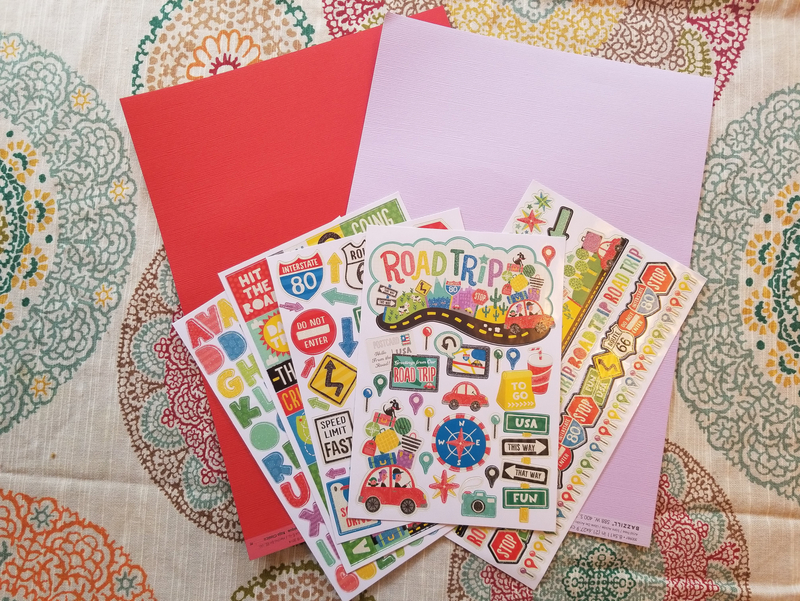 Use scrap book paper to make cute covers for the note books and get the kids excited about their upcoming trip. The tinies are making theirs the weekend before we leave with the supplies below. Keeping the backseat mayhem to a minimum is not as hard as you might think if you plan a bit, and have your space organized. I love that they have to stack the lap desks in between themselves – it provides a lovely little no man’s land where they have to work to touch each other – it’s all about the strategy. Battle free is the way to be! 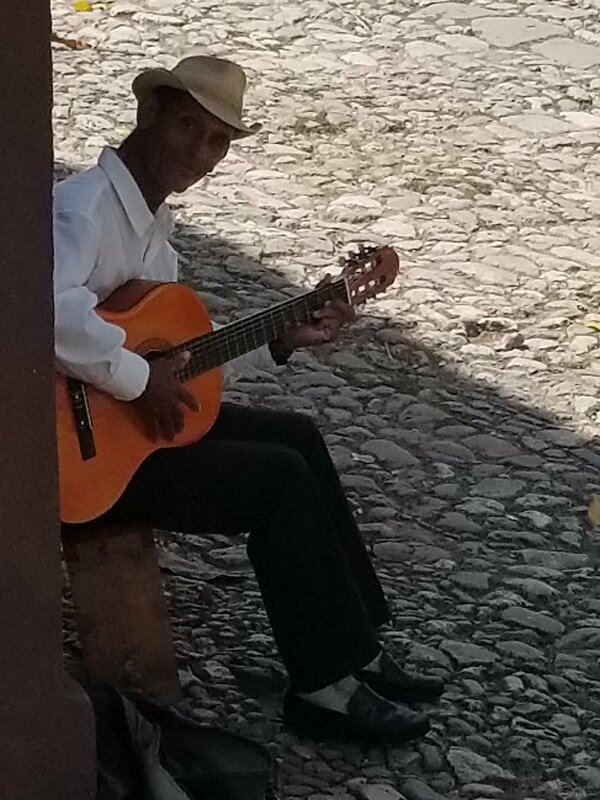 Enjoy your travels, where are you headed this summer? Next ArticleSides That Will Make Your 4th of July BBQ Sparkle!